Այսպիսի հանդիպումների ժամանակ իմ նպատակն է ոչ միայն ներկայացնելու գիրքս, այլև ընթերցողների հոգում հետաքրքրություն առաջացնելու բնության և կենդանական աշխարհի վերաբերյալ, սեր և հոգատարություն քարոզելու բնության նկատմամբ: Իմ գրքերով, հոդվածներով, ելույթներով ես մշտապես ջանում եմ ամենուրեք ու ցանկացած մեծ կամ փոքր լսարանի փոխանցել բնության պահպանության կարևոր հորդորը: Ինչքան որ ուժ ու եռանդ ունեմ նույն ոգով շարունակելու եմ իմ այդ առաքելությունը, որպեսզի հնարավորինս շատ մարդ համակվի այդ զգացումով: Ելույթիցս մի հատված, որը այս խոսքերիս շարունակությունն է. “My Heart’s in the Highlands”: I decided to start my article with this beautiful title of an Armenian American dramatist and author William Saroyan’s famous play as it perfectly symbolizes the material I am going to write about now. My permanent readers know that after the presentation of my new book “Right to Live” I receive invitations from various kind of audiences. There started a unique series of meetings between me (as a writer) and my readers. During these kind of meetings I present my new book and speak about nature, biodiversity, human-nature relations, speak about the importance of providing harmony between people and nature. I am trying to inseminate love, care, respect to the nature especially among the children and youth as they are the future of our life. 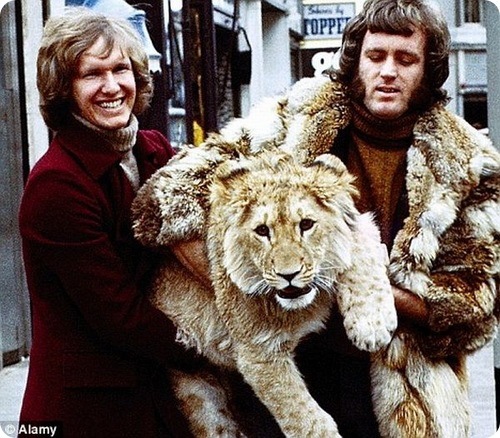 During these meeting, seminars I show them a beautiful “Power point” presentation with great number of photos about nature and lions. I am telling them a huge information about wildlife. For example, such kind of memorable meeting was in June 19, in Armenian Mountaineering and mountain tourism federation. Dear Friends, firts of all I would like to tell you that I often have the honor to introduce my book “Right to Live” to scientists of the theoretical science sphere. Recently I had the honor to introduce my book at Mkhitarian Educational Foundation (May 19, 2012, Yerevan). I would be glad if you read my article about that meeting and see the videos and pictures. In the article’s first video I am telling the Foundation’s sons about the role of lions in Armenian history, culture and heraldry. In the second video I am speaking about Kevin Richardson’s great activity. At first I am speaking about how cruel sometime can be People as they destroy nature, kill wild animals with guns. And after that I am telling about the humanity of people, how kind they can be, how much love and care they give to nature, animals. And as a bright example I am talking about Kevin and his activity. I show pictures where is seen how much love Kevin gives to animals and how much animals love and respect him. 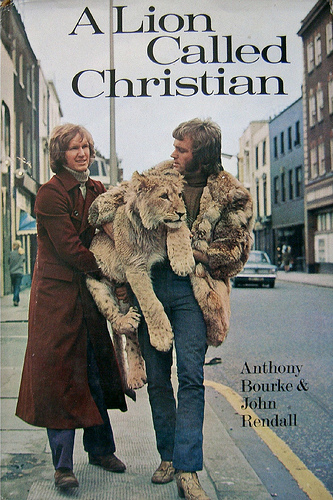 I also mention that I have the honor to be in contact with Kevin and he welcomes the creation of the book “Right to Live” as a unique product about lions and nature. But I introduce my book also to them who not only study the nature but also “works” with nature overcoming all the difficulties and every day feeling the beauty of nature as well as its power and sometimes dangerous manifestations. These men work face to face with the nature and in the nature. They have free soul, they are very brave, they know what is difficulty and they have enough persistence to solve the problem, to overcome the threat and to succeed reaching a new level. I am talking about alpinists who are brave enough and very interesting people. Their hearts are really in the Highlands. Members of the Armenian Mountaineering and mountain tourism federation where listening to the presentation with great interest and attentively. It was kind of an interactive meeting and conversations. It was my pleasure to have a speech for them. Now I consider me as a friend of the federation. They met me very warm and friendly. At the end of my speech I was asked interesting questions. I presented several copies of my book to the Federation. Vice President of the Federation Suren Danielyan gave me symbolic souvenirs. I would like to thank Armenian Mountaineering and mountain tourism federation, Vice President Suren Danielyan and all the members of the federation. Also I would like to thank much the member of the federation and co-founder of the “Arshavakanner” club, my good friend Tigran Shahbazyan for organizing this meeting, shooting the videos and taking the photographs. I would like to mention that in the first 2 videos I introduce the book and in the last video (where I am sitting in front of the audience) I am talking about the importance of teaching children to love and protect the nature. In the video I share my experience of inseminating love, care and respect to the nature among the children telling that we always see the results in future, when children grow up. This is a very important educational process the result of which is seen only after some time. We must start to work with children from the early age as they will grow up and become nature lover adults. Dear Friends, at the end I would like to wish success to the federation. I think that Armenian Mountaineering and mountain tourism federation not only units alpinists but also promotes the development of this culture and sphere in our society and in our state. Videos and Photos used in this article are Copyright protected. Did you like the post? then you can “like” my Facebook page and become a new friend of my blog. 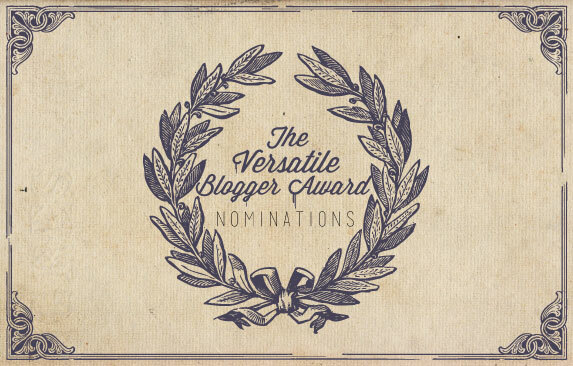 Dear Friends, I have the honor to tell You that My blog is nominated for the “Versatile Blogger Award”. I would like to thank very much the blog “Travel.Culture.Food” for nominating me for this Award! Thank You! I deeply appreciate that. As a blogger this is My first foreign award. The blog is beeing nominated for this award for its attractive, versatile and interesting content. I am very glad to deserve this award from Miss Zari, the owner and founder of the blog “Travel.Culture.Food”. She has a very beautiful and interesting blog and I am very glad and proud to introduce Her blog to all my Armenian readers as well as visitors from abroad. 1. In a post on your blog, nominate 10 fellow bloggers for The Versatile Blogger Award; and link to them. 2. In the same post, add the Versatile Blogger Award. 4. In the same post, share 10 completely random pieces of information about yourself. Share 10 completely random pieces of information about yourself. Once again thank you “Travel.Culture.Food”. 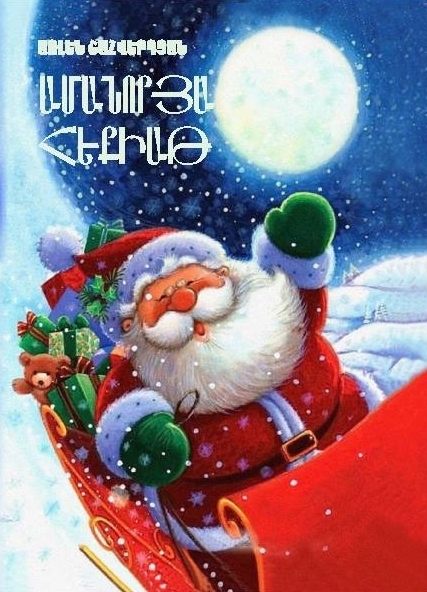 Dear Friends, it is my honor to introduce to You My Second Book “New Year Fairy Tale”, published in 2009. This is a Tale about Little Toys, that try to reach the New Year Tree until the New Year begins to make a Wish with the Hope that it will definitely come true. The Book is in Armenian Language. The Book Cover is designed by Me. Armenian Readers can find the Book in the Armenian State Library, in the National Children’s Library after Khko Aper and in the Central Library after Avetik Isahakyan. To buy the eBook of “Ne Year Fairy Tale” CLICK HERE >>>. Arlen Shahverdyan, the Author of this Blog possesses its Copyright. All the materials of this blog are Copyright protected. When quoting, the reference (link) to arlenshah.wordpress.com is compulsory. The partial or complete reproduction of the Author’s articles, posts or photos in other sites or Mass Media is prohibited without the reference to arlenshah.wordpress.com.